These integrations will work a lot like our Basecamp integration. 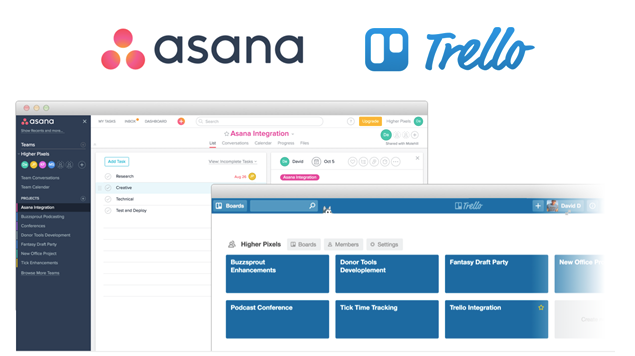 You can bring people, projects, and tasks into Tick from Asana. For Trello you can import people, boards, and cards. Track your projects against budgets in Tick to run more profitable project. Setup time tracking for Asana, or time tracking for Trello, today!